It is easy to make sorbets and the results are usually delightful, particularly if you have an ice cream machine. However, sorbets kept in the freezer for any longer time soon begin to deteriorate. The texture starts to become coarse and more icy (in a negative way). 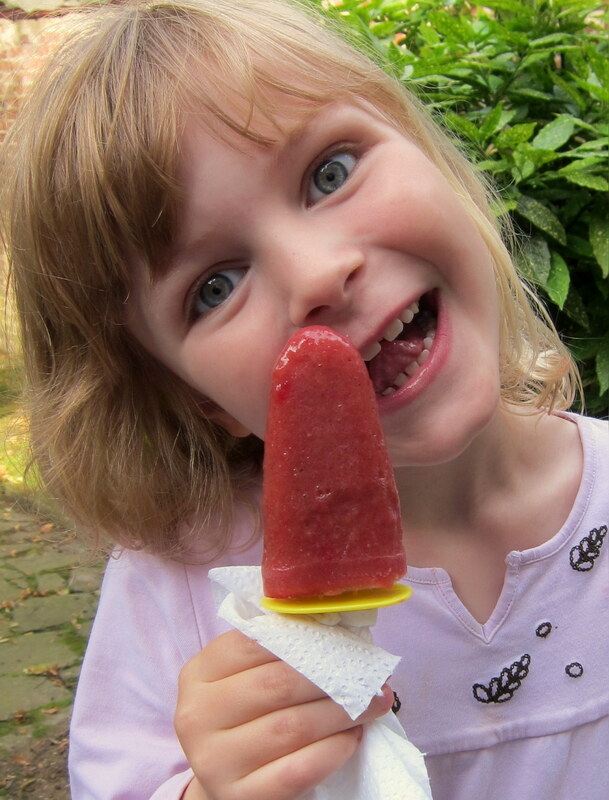 But there are ways to improve sorbets – Read on! First, it might be good to quickly consider why sorbets kept in the freezer tend to deteriorate so rapidly. As you know, sorbets are basically composed of water, sugar and flavouring. And air. 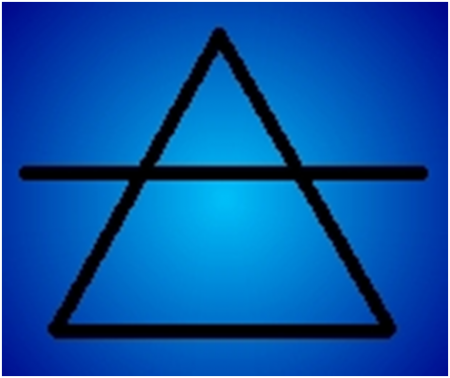 Air is very important for a good structure, and this is also the reason behind the problem. Over time, the air will begin to leave the sorbet. The same actually applies to ice creams, but since sorbets (unlike creamy ice creams) typically do not contain much fat, they simply do not retain the air that has been churned into them at the moment of creation so well. 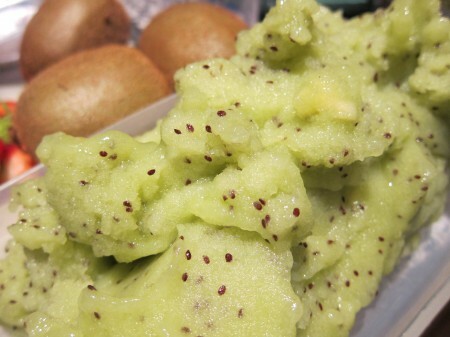 Also, in order to fight off the lurking growth of unpleasantly large ice crystals, sorbets typically only rely on their sugar content.Using a little neutral alcohol will affect the freezing (without actually affecting the flavour), will help fight the growth of the ice crystals and prevent the sorbet from freezing too hard. But it won’t stop the air from abandoning the sorbet. Obviously, this slow release of air is not an immediate process – if you plan on enjoying your sorbet within about a day, there is really no strong need to bother with adding anything extra to your sorbet. After all, many people also consider that sorbets should be enjoyed the same day they are made. But what if you would like to hold on to the sorbet a bit longer? Any surplus sorbet which has been created – but not sold and served – during Day 1 is melted down in the evening and kept as liquid. The following day, this melted sorbet from yesterday is (re-)used as the base for Day 2’s ‘freshly’ churned sorbet – Hep! New sorbet out of the old one! I have no idea whether this ‘trick of the trade’ is widely practised today, but the very existence of the method underlines the point that freshly churned sorbets typically taste better than sorbets which have stayed frozen for any longer time. Commercially mass-produced sorbet, often destined for long transports, frequent moves between warm and cold environments, and prolonged stays in the freezers of the stores, typically employ different industrial-style stabilisers to improve consistency, durability and scoopability. 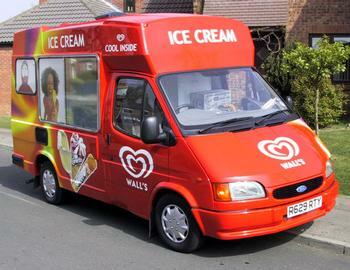 Mass-produced, industrial ice cream often depend on stabilisers, partly in order to better withstand the strains caused by the logistics: transports, distribution and any periods spent outside a freezer. 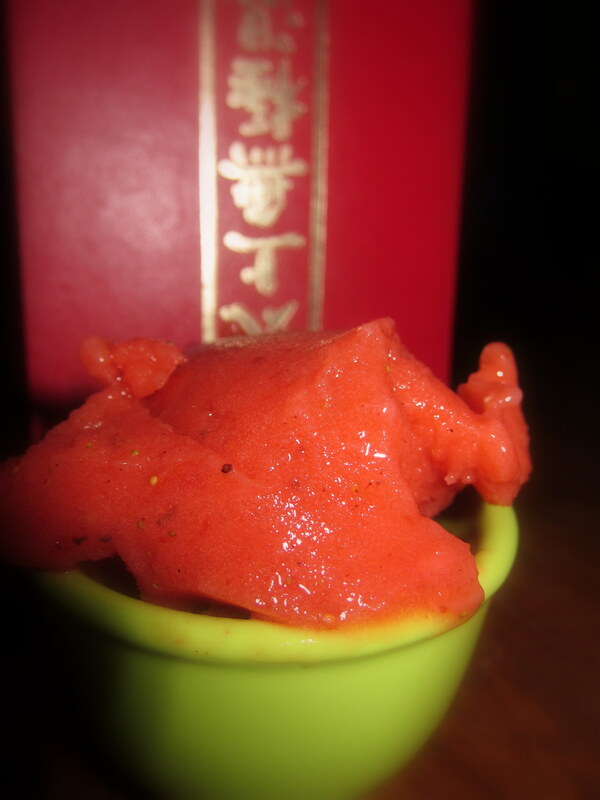 But stabilising a sorbet does not necessarily require high-tech ingredients or deep insights into molecular cooking. The ice cream maker at home can experiment by adding readily available stuff such as gelatin or pectin for a sturdier consistency (Agar agar, while somewhat more exotic, should also do). Or some alcohol for a softer freeze and improved scoopability (which, technically speaking, of course is more a matter of de-stabilising the sorbet 😉 ) . The stabilising power of egg whites will be covered in the next points below. When it comes to sorbets, a particularly popular method – also favoured by many professionals – is adding whipped egg whites. 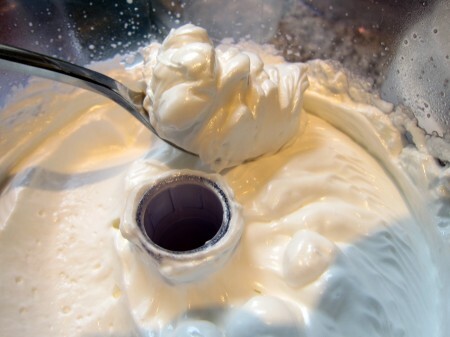 Egg whites consist of proteins and pack quite some stabilising punch: when whipped, the egg whites will capture and retain a lot of air – very important for the consistency of any frozen dessert. 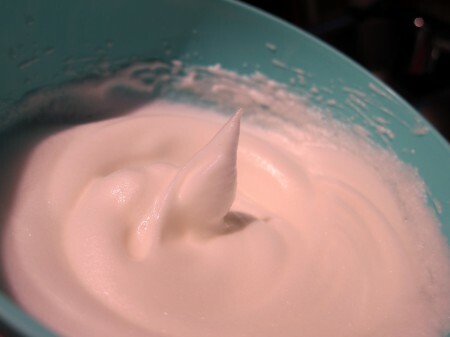 The way to employ whipped egg whites is simple. Count with about 1 egg white for a standard batch of sorbet. Whip the egg white fairly stiff (and at least until it forms white, foamy tops). Blend the whipped egg white into the almost-ready sorbet (= when most of the churning has been done, and the sorbet is almost ready for the freezer). Then, continue to churn the sorbet base a little (with the incorporated whipped egg white), or simple put the sorbet straight into the freezer for the finish. This is all very fine if you are fortunate to work with pasteurised eggs. But if not, it is important to remember that unpasteurised raw eggs come with a potential health hazards: they could carry salmonella. The risk of eggs carrying salmonella varies between countries and regions, and while the risk typically is quite small, eating raw (unpasteurised) eggs should be avoided, at least by toddlers, pregnant women, the elderly, and people with reduced immune system. Which leads us to our next method, where the egg whites go through a bit of cooking before being added to the sorbet. If done properly, this should do away with the potential health hazards. Doing it improperly would, however, still leave a a risk, even if somewhat reduced. The risk-conscious amongst us or those in doubts about the “perfect way of preparation” are advised to stick to using only pasteurised eggs! Combining classic, soft-baked Italian meringue and sorbets was once the way to prepare sorbets in a truly professional way. And this is not the kind of meringue you would serve on the side, or use for visual, crumbled pleasure as add-in/add-on. No, this is the kind which pastry chefs with a sense of quality and pride in their frozen creations would use to mix into the sorbets as an integral building block. The benefit of the Italian meringue is basically that it – much like a whipped-up egg white – captures and retains a lot of air. But the meringue is more stable, and will retain the air better. The meringue, once added, will disperse wholly into the sorbet – and ensure a smooth, scoopable consistency, increased durability in the freezer and, arguably, an extra depth to the whole tasting experience. When done properly, it should also be ‘safe’ to eat. The basic steps for creating Italian meringue are straightforward: prepare a hot sugar syrup and whip it into softly whipped egg whites till stiff. Since the sugar syrup is hot, the egg whites will be soft-cooked. It is, however, important to note that merely using warm liquids won’t be enough to pasteurise the eggs. Only by working with a markedly hot sugar syrup (up to 122° C/251° F) will the egg whites reach the “really health-safe” temperatures required for a ‘safe’ Italian meringue. Exactly how to make Italian meringue it now extensively covered in this post. Making Italian meringue is a great way of improving sorbets, and done properly, it should also be ‘safe’. UPDATE: Learn all about making perfect and safe Italian meringue in this post – my own “Italian meringue for Dummies”, where the way to the perfect Italian meringue is explained, step by step. Surprisingly enough, the liquid you get when you boil chickpeas in water (also to be found in cans with chickpeas) can be whisked stiff in pretty much the same way as the Italian meringue. While this meringue comes with a soft but distinct flavour touch of chickpeas, it otherwise looks and functions as egg-based meringue. Since the overall flavour of a sorbet will quash this remaining hint of the chickpea-origins, aquafaba meringue is actually perfect for sorbets. It is easier to make, contains nothing more than the liquid (the “aquafaba”) and the sugar, and does not require any cooking: it suffices to whisk it well. In fact, there is really no reason why this splendid alternative to Italian meringue should be used by anyone wishing to improve his or her sorbet! and how about the taste of italian meringue in sorbets? I used only whipped eggwhite for spoom, and hate it – it doubled its size, but the flavour of the fruit was heavily masked. Is it better with this kind of meringue? I actually intended to cover your question in my – UPDATE! now published – post on Italian meringue (or – UPDATE – in this post dealing with spooms) 😉 . But I would not dream about keeping you waiting, so – in short – I think that the Italian meringue really does a lot of nice things to sorbets! In a rather discreet manner, it seems to enhance and improve a lot of things. I may be partial, but somehow, it felt like it also boosted the flavour – but without actually ‘changing’ the original one. Which is different from spooms, where the ‘base sorbet’ really turns into something different. But this is very much a matter of proportions! If you add too much whipped egg white or Italian meringue to a sorbet base, you WILL end up with spoom. But if ‘correct’ proportions are used (= approximately about 1 egg white/meringue-equivalent per home-made standard batch), the original flavour/character of the sorbet should basically remain the same (in case you go with Italian meringue rather than just whipped egg whites, the original colours may pale somewhat, however). All recipes I see on adding egg whites to a sorbets refer to one standard batch of sorbet. What will standard be? 500 ml, 1000 ml? Fruit to dugar and water ratio? Adding slightly whipped egg whites to sorbets is not an exact science (at least not in home-settings) 😉 It also depends a bit on what character you’re looking for in your sorbet – if too much egg whites are added, for example, you will end up with spoom: this may be to your liking … or not. Therefore, the suggestion to add 1 egg white to a batch should best be understood as a rule of thumb. In most cream machines for home-use (with, say, a liquid capacity of up to 1 litre), adding one egg white to what usually goes into machine will typically give you a “reasonably” good effect. It goes without saying that the measurements need to be updated if your machine has a much larger capacity.